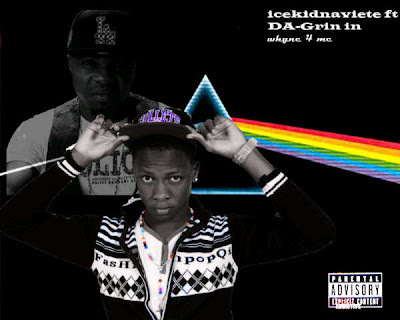 16 year old ICEKIDnaviete is a hip hop artiste from ondo state. Real names Adegeye Adeyemi nephew to juju music maestro King Sunny Ade, which explains why music flows in his veins from such a young age. His second single - Whyne for me, produced by QB is a party track telling girls to whyne their waists and when they do he says "Dagobele" meaning "Trouble".